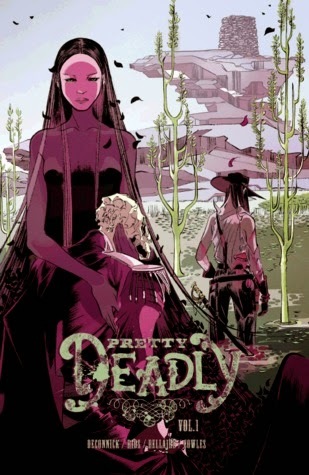 It's time for this week's graphic novel-round up. It's kind of amazing how this is keeping me focused on reading. Three graphic novels to every one book read each week, but not bad at all. Any suggestions on what I should read next? Death's daughter rides the wind on a horse made of smoke and her face bears the skull marks of her father. Her origin story is a tale of retribution as beautifully lush as it is unflinchingly savage. This one is still up for debate. I liked it...but I'm not really sure I understood what was going on. I'm hoping more will be revealed in later volumes. There's Death's daughter, a young girl (who I believe was born in hell??? ), a guilty Mason trying to atone for his sins, and a new reaper in town. It's kind of complicated. But definitely interesting enough to keep me reading! You've seen Black Widow as an Avenger and even an agent of S.H.I.E.L.D. But on her own time she searches for atonement for her passing as a KGB assassin - in ways of which those teams just wouldn't approve. 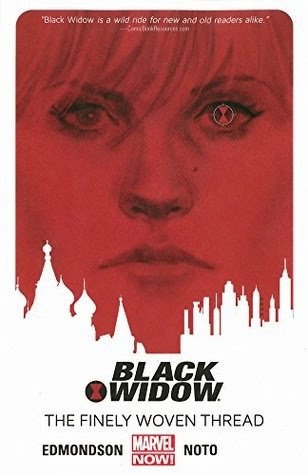 The Black Widow goes undercover in Russia, but from its cold streets the Hand of God reaches out to crush her...and it is as merciless as its name implies. Outmatched by the brute force of a powerful new villain, Natasha faces her deadliest test, and discovers a deadly plot unfolding that spans the entire globe. Hundreds of years in the future, Manhattan has become a deadly slum, run by mutant crime-lords and disinterested cops. Stuck in the middle is a young girl who thought she had no future, but learns she has a great destiny. 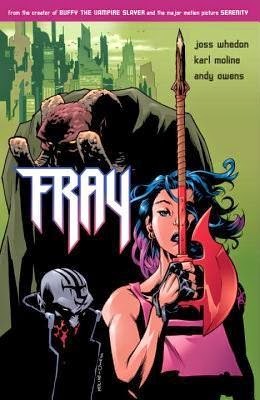 In a world so poisoned that it doesn't notice the monsters on its streets, how can a street kid like Fray unite a fallen city against a demonic plot to consume mankind? This one had Joss Whedon's name on it, so I felt like it was a necessity. It's really Buffy in the distant future. A slayer is needed to rid the world of a serious evil. Fray is a spitfire. She fights hard and lives harder, but down deep she has a good heart. Much like Buffy, she doesn't believe she's a slayer, but eventually steps up to the plate to save the world. Unlike Buffy, there is no "normal" to contend with. Lots of action and interesting characters. And it's Whedon, so there's great humor along the way.